DryFlekt's Water Management System integrates roofs and walls into a seamless, continuous unit utilizing DryFlekt's commercial grade TPO gasket flashings and kick out diverters compatible with all roofing and wall systems. 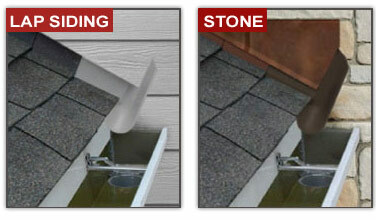 DryFlekt's Water Management System complies with the 2012 IRC Building codes. Works Effectively with all Claddings. Whether you're an architect in search of efficient design options, or a contractor in need of reliable roofing products, we're here to help with top-quality products that produce effective and sustainable results every time. 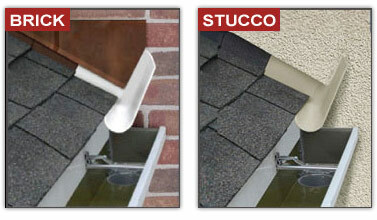 Contact Us to discuss these industry-approved items that are essential for residential and commercial applications. 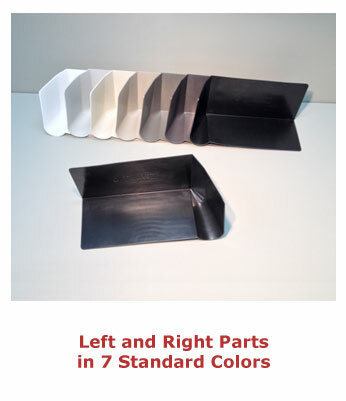 DryFlekt® Water Management System components are manufactured from a recyclable engineered preformed non-corrosive, non-conductive UV resistant Thermoplastic PolyOlefin (TPO) material designed for extreme weather conditions. It will not rust, corrode or conduct electricity. 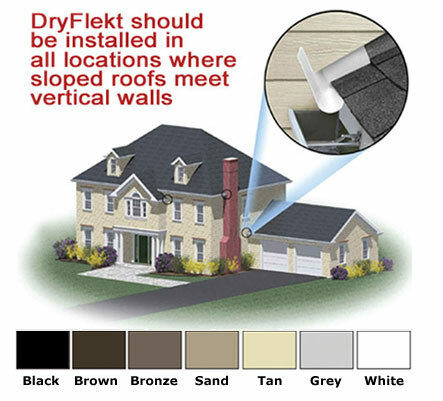 DryFlekt's flexible seamless construction withstands ice damming and wind driven rain. DryFlekt® Water Management System components are the Best Practice Solution in preventing water intrusion for new and retro-fit construction. Industry recognized by Builders, DOE, Roofing and Siding Manufacturers, Building Trade Organizations and Contractors as the Best Practice Installation in preventing water intrusion. 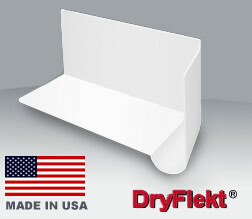 DryFlekt's engineered self-positioning seamless Kick-Out Flashing is designed for consistent placement for multiple roof pitches removing the guess work of in field trial and error, eliminating failures. Proportionally sized, 14.5" L x 6" H x 6" W, to re-direct the large volume water runoff focused at roof eave to wall intersections. Engineered for sustainability, our Commercial Grade TPO Kick-Out Flashing is Code, NRCA, Energy Star, and EPA Compliant and compatible with leading industry guidelines. Copyright© 2019 DryFlekt. All rights reserved.